Computer science is a field that more and more industries depend on. 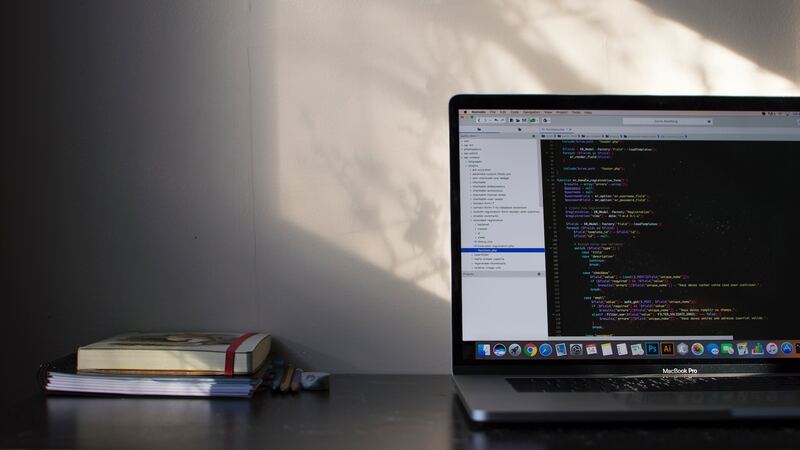 Code is the language of information, and it’s the key to solving countless real-world problems and creating powerful digital tools people can actually use. You don’t have to move across the country to learn how to code. There are countless online computer science degree programs that can land you the credentials and expertise you need to start your career. To help you sort through them, we’ve used data from The National Center for Education Statistics and ratings from school-ranking entities like TheBestSchools.org, BestColleges.com, BestCollegeReviews.org, U.S. News & World Report, CollegeChoice.net, BestChoiceSchools.com, and ComputerScienceOnline.org—so this list of the top 10 online bachelor’s in computer science programs is the best of the best. Unless you’re drowning in scholarships right now, chances are the cost of your education matters to you. Most of these schools are pretty affordable, but a couple of them stand out. If you happen to live in Florida, you can get a great education in computer science for around $3,000 per year from the University of Florida (#2 on our list). Regardless of where you live, you can get an online education from Brigham Young University-Idaho (#8) for around $4,000 per year. If you can’t get a job right out of college, it can be hard to justify spending thousands of dollars on an education. Any of these schools can give you the knowledge you need to enter the field of computer science, but one school is notably better at actually helping their students make that transition. Dakota State University (#7) has a 92% job placement rate for graduates of their BS in computer science program. You can start playing with the skills you’ll learn from your BS in computer science right away, and many employers are more interested in what you can actually do than whether or not you have a degree. But if you start investing in an education, you probably want to actually finish it. A degree can make you eligible for new positions. If earning a degree is your top concern, then look no further than #2 on our list, the University of Florida. With a graduation rate of 87%, odds are you’ll walk away with the credentials you want. Oregon State University offers a bachelor of science in computer science that’s designed for students who have another bachelor’s degree in any field. You must already have a bachelor’s degree to enroll in the program. The program is designed to truly be completed at your own pace. If you can afford to be a full-time student, you may want to choose the one-year track and hustle through the program. For students with jobs, families, and other commitments, a two, three, or four-year track may be more appropriate. You can only enroll in the one-year track as a full-time student. The website also has several warnings that the one-year track is intense, so bear that in mind. Graduates of this program have gone on to work for companies like Intel, Garmin, Disney, Boeing, and Hewlitt Packard. Fun fact: One student took OSU’s online computer science program while working on Google’s self-driving cars. Computer science doesn’t exist in a vacuum. The more intuitive your software and programming skills are, the more valuable they become. That’s why University of Florida’s online BS in computer science program includes courses in behavioral science, the humanities, and foreign languages. For more information on what kinds of courses are included in the program, you can consult this handy course list. With 400,000 alumni around the world, networking opportunities are never far from University of Florida students—even if you’re studying online. There are more than 100 “Gator clubs” dispersed throughout the world, so no matter where you are, you can still connect with alumni and students. 96% of online computer science students said they were very satisfied with their experience. As an online student, you’ll have exams, papers, group work, presentations, and lab work. You can learn more about how each of these online assignments work. This computer science curriculum could give you a better idea of what specifically the program includes. Only 30 of your credits have to come from ODU though, so you can transfer credits for most of these courses if you have them. Florida State University’s online bachelor of science in computer science equips students to start a career in computing. Specifically, this program explores the overlap between programming and design. 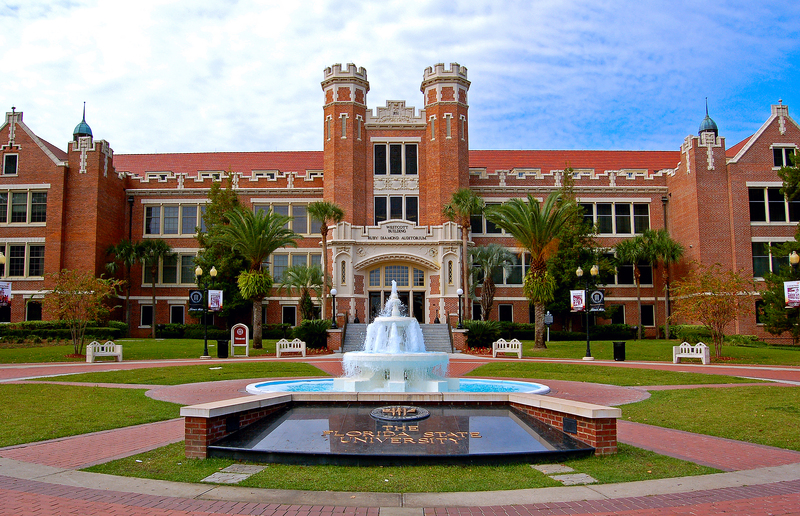 Fun fact: FSU has a transfer rate of 3%—the national average is more than ten times that. Couple that with their 80% graduation rate and odds are if you start your education here, you’ll end it here as well. This is the only online BS in computer science program in the U.S. that’s accredited by ABET. You can also add an optional mathematics minor for 12 additional credits. All DSU computer science professors have a PhD in computer science. 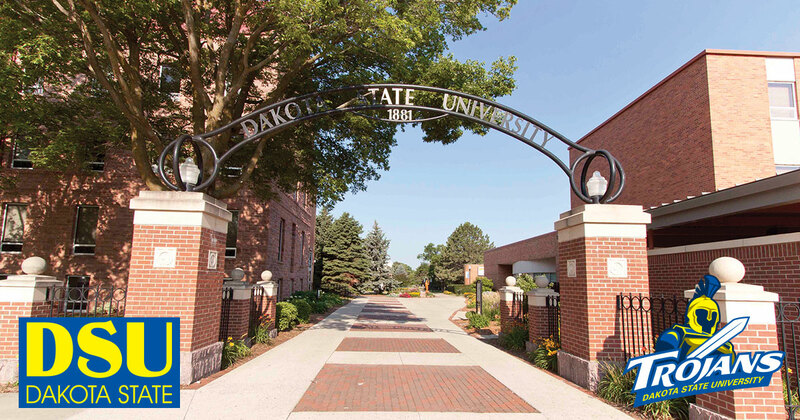 Interestingly, the transfer rate at Dakota State University is 39%—the same as their graduation rate. 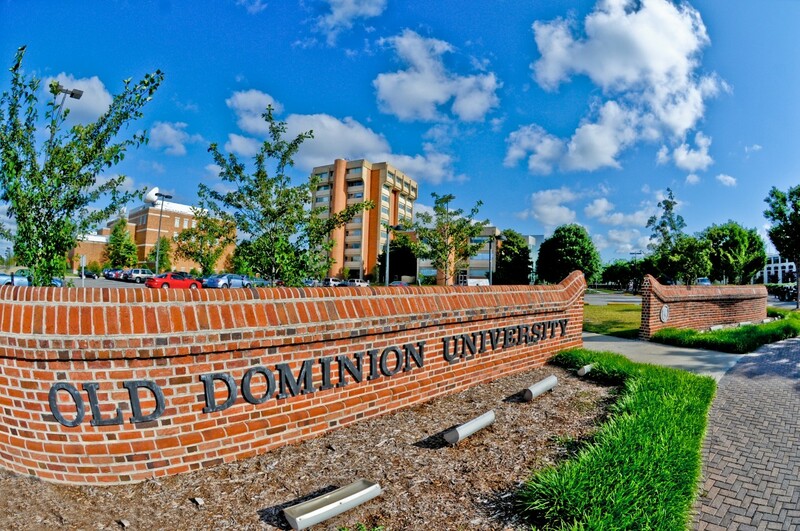 DSU students are just as likely to transfer to another school as they are to graduate. Since four other schools on this list are also accredited by the Higher Learning Commission, you should have no problem transferring your credits to another great school. Fun fact: Online courses are often scheduled at the same time as on-campus courses. Faculty often bring online and on-campus students together through collaborative projects. Note: You may need to confirm that the BS in computer science is available online in your state. Brigham Young University-Idaho offers an online BS in software engineering. The program is technically not fully online, as you can see in the admissions requirements. Before you get into one of their online programs, you need to complete 15 credits from a Church Educational System institution (such as the BYU campus in Utah, Hawaii, or Idaho, or at the LDS Business College), or, alternatively, you can complete the year-long PathwayConnect program, which is a mix of online and in-person courses taught by the Church of Jesus Christ of Latter-day Saints. You have 26 elective credits, but only 12 are available for you to explore other subjects that interest you. Note: You have up to eight years to complete this program. Colorado Technical University offers an online bachelor of science in computer science. You can see a complete course list on their website to get a feel for what exactly you’ll be learning. At the time we wrote this post, it’s unclear what the 44 credit hours in the BSCSELE section can be used on. This is the longest program on our list, so it might not be surprising to see that CTU also has the lowest graduation rate on this list. Only 20% of CTU’s online BS in computer science students complete the program within 150% of the “normal time.” It’s not clear if the normal time for a 180+ credit program is still just four years, but you should expect that if you dive into this program, you’re going to be here a while. Fort Hays State University offers an online bachelor of science in computer science. The 120-credit program includes a 24 credit emphasis. To help you craft your degree to fit your career path, you can choose an emphasis in either business or networking. The business emphasis gives you a background in accounting, management, marketing, finance, and economics. This could be a good fit if you want to use computer science to climb the ranks in the corporate world upon graduating. The networking emphasis covers internetworking, network architecture and data communications, routing, LAN switching, and troubleshooting. According to the National Student Clearinghouse Research Center, more than one third of all college students transfer schools before graduating. In order to transfer your credits from one school to another, the two schools usually have to be accredited by the same organizations. Thankfully, five schools on this list are accredited by the Higher Learning Commission, three are accredited by the Southern Association of Colleges and Schools, and two are accredited by the Northwest Commission on Colleges and Universities—so if you decide to transfer, there are plenty of great schools that will still accept your credits.